For next week's Pearl Harbor game. Now that the NCAA basketball season is here, Nike's ramped up its player exclusive pairs doled out to college teams across the country that are affiliated with the sportswear brand. 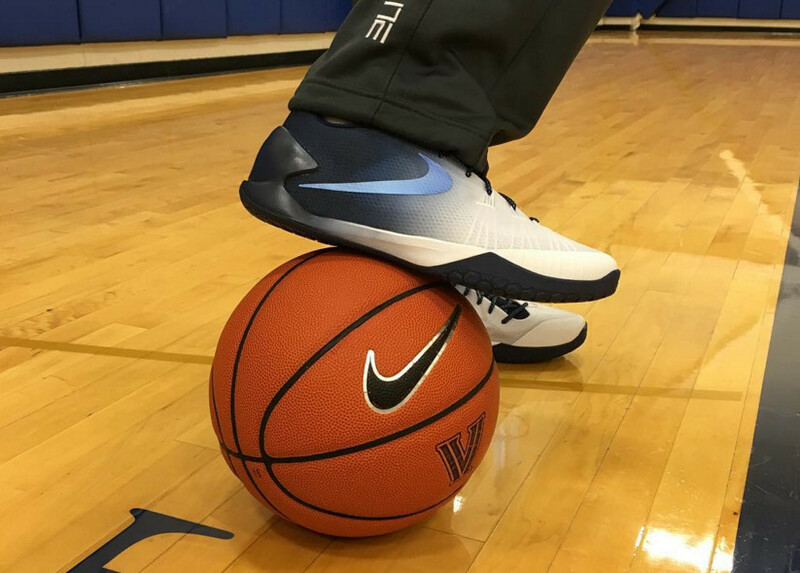 This time around the Villanova Wildcats are blessed with an exclusive version of the Nike Hyperchase. There are none of the school's logos visible on these shots of the shoe, but it does have a fade across its upper and a blue Swoosh to match with the school's colors. 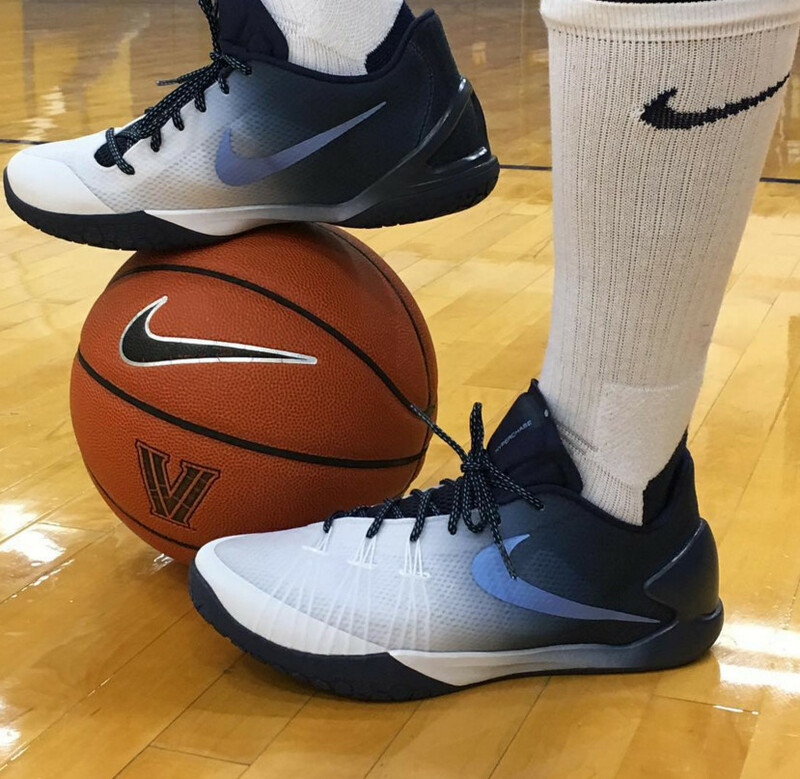 Watch for Nova to don these sneakers during their game against Oklahoma on Dec. 7 at the Bloch Arena in Pearl Harbor.